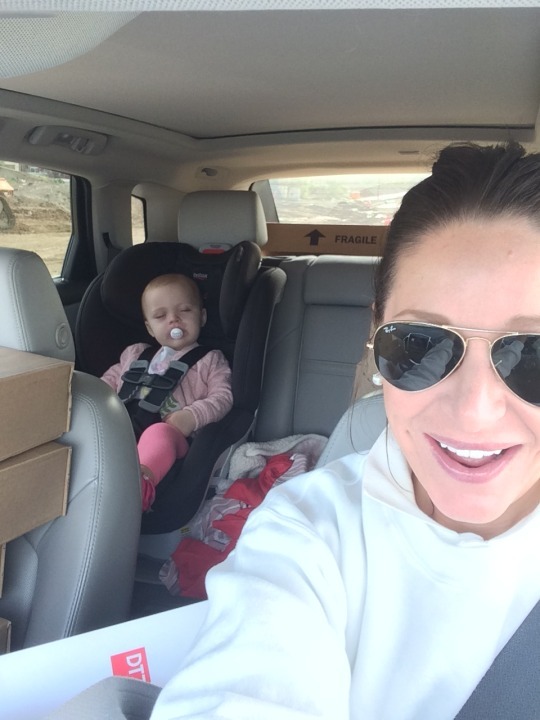 Happy Monday and happy belated Mother’s Day to all of the moms and soon-to-be moms out there! 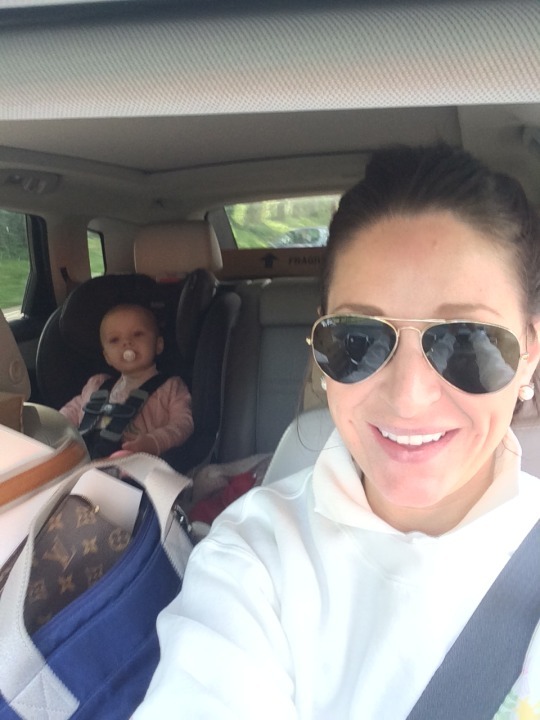 We had a FABULOUS Mother’s Day. It all stemmed from an idea that I had this past Thursday. 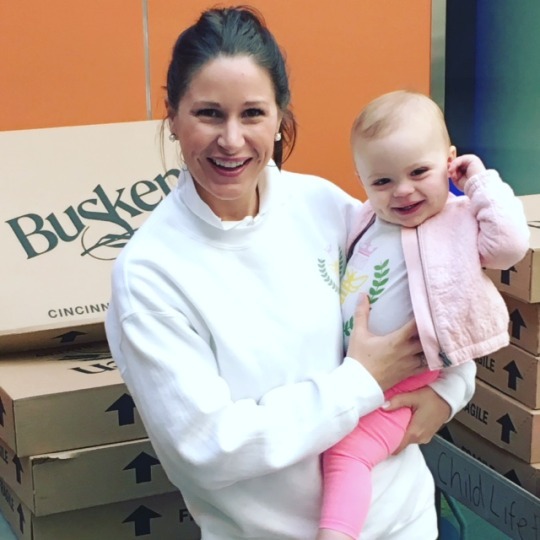 What if I could figure out how many moms were spending their Mother’s Day at Cincinnati Children’s and deliver something that would brighten their day? 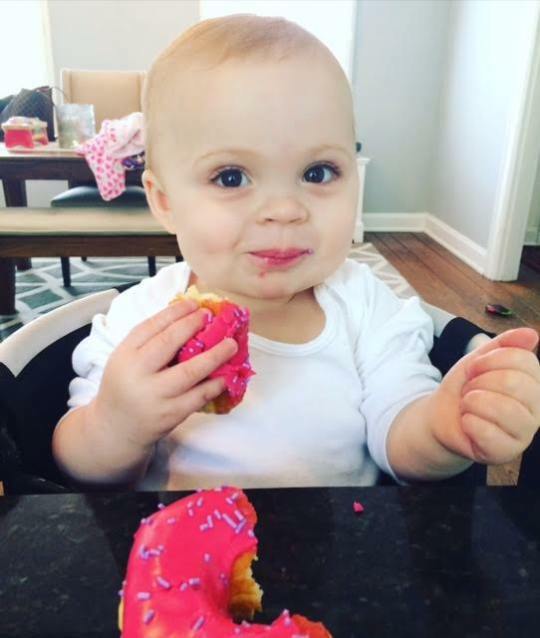 I immediately thought of donuts. 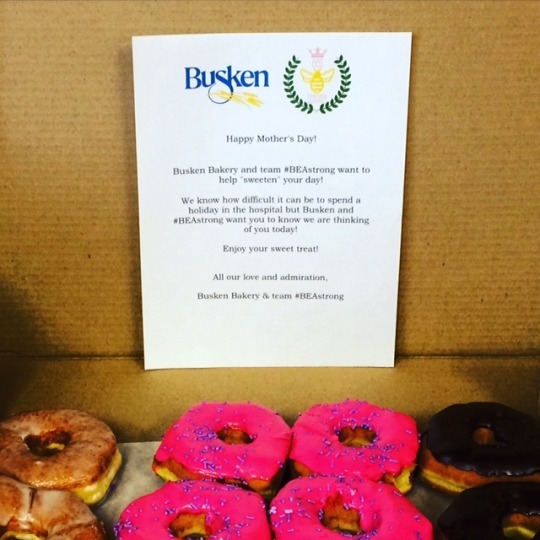 And then I immediately thought of Busken Bakery…..my lifetime favorite. 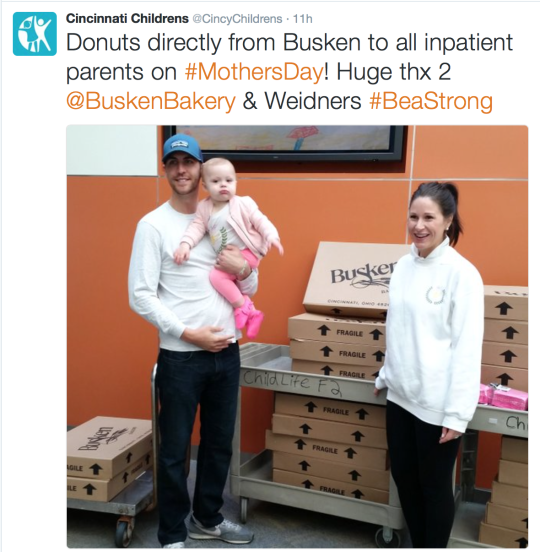 I talked to my development contact at Cincinnati Childrens to tell her of my crazy idea and she promptly let me know that there were 22 parent lounges that we could deliver to and we would need 24 donuts/lounge. 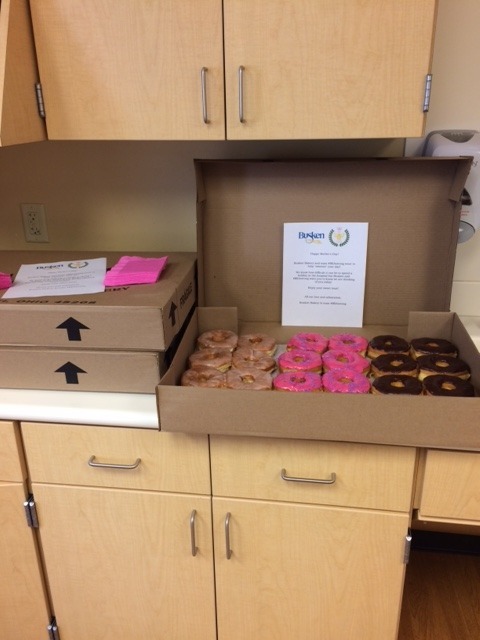 PLUS, I was going to get an extra 2 dozen for the nurses of A4N – Bea’s floor! 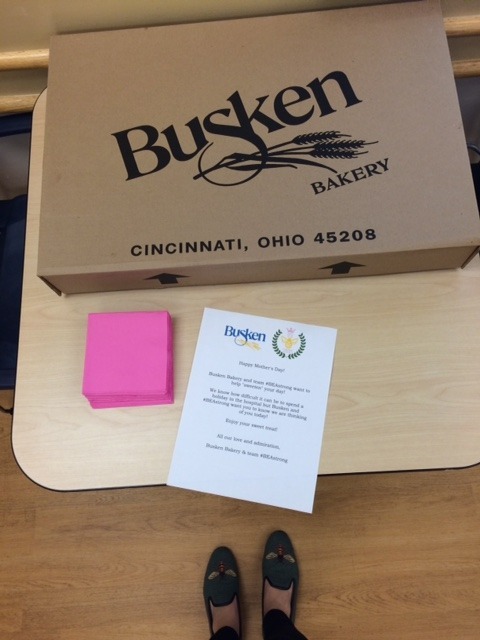 I was so so excited and ready to place my giant order for pick up on Mother’s Day morning when I reached out to Busken Bakery. 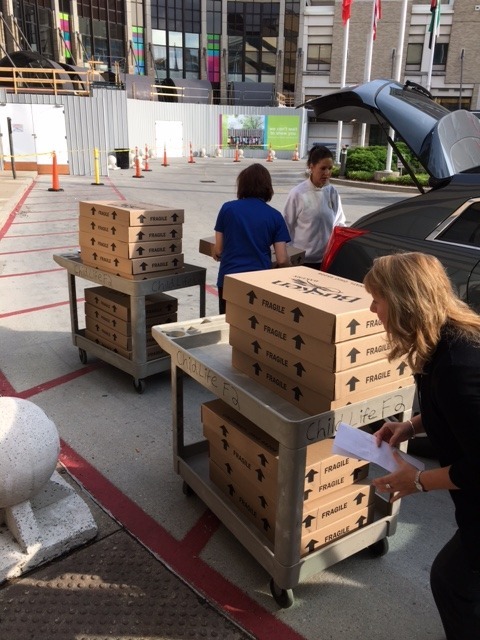 I told them of my idea and asked them if they were willing to match my donation. 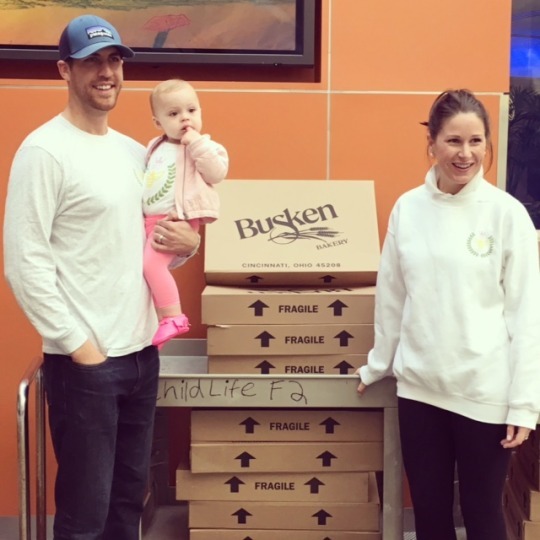 They loved the idea and matched our donation. 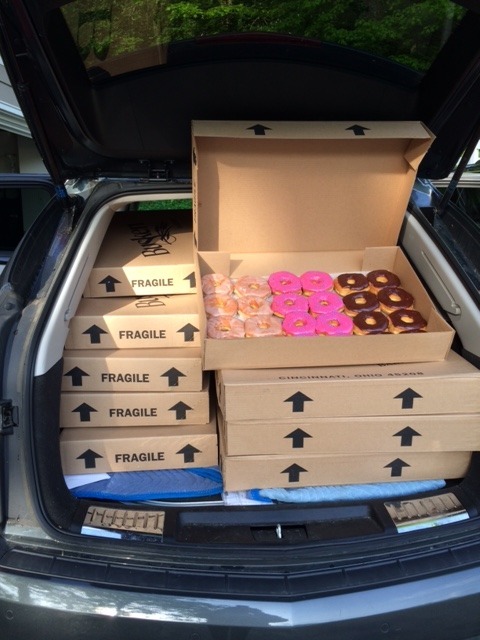 We swiftly sprung into action figuring out packaging (a typical box fits 18 donuts and we needed boxes to fit 24), type of donuts, and all logistics to get this done by Mother’s Day morning. 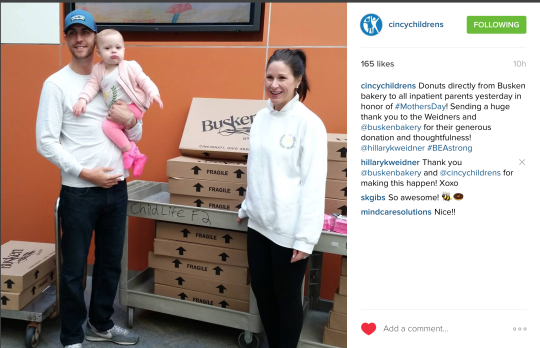 They were INCREDIBLE to work with, so kind, and really cared about this little project of mine! 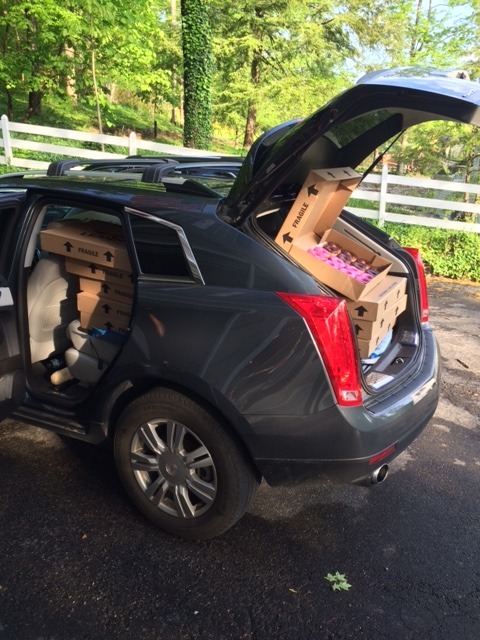 SO – Mother’s Day morning rolls around and we pick up 24 boxes with 576 donuts and Bea, Jordan, and I were on our way to Children’s! 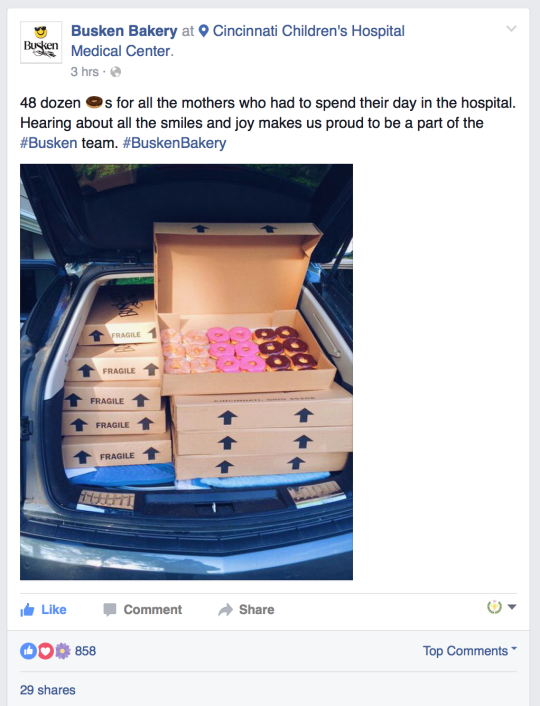 We were able to deliver the donuts to the family lounge areas on most floors and people were SO SO SO excited. 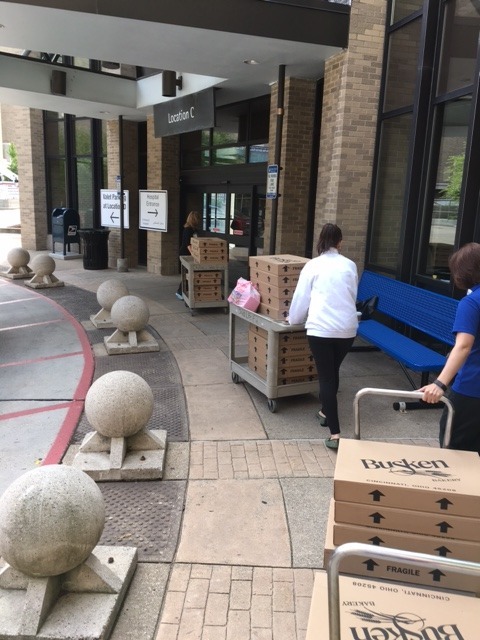 It really MADE my Mother’s Day being able to deliver these little bits of happiness to the families throughout the hospital. 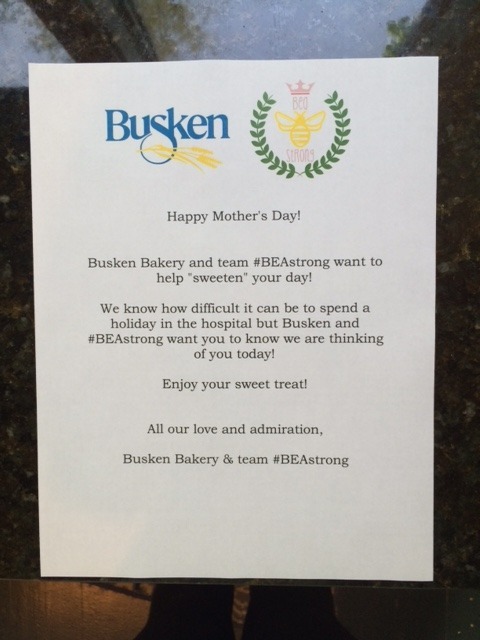 THANK YOU Busken Bakery for your generosity and kindness in helping me brighten the Mother’s Day of so many moms going through a challenging time. 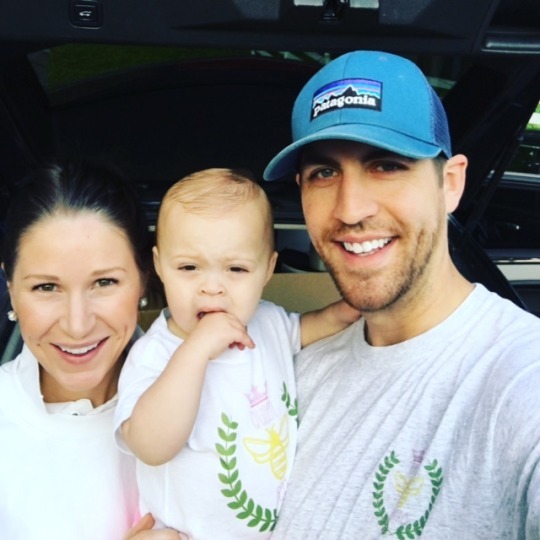 And THANK YOU to my incredible husband for always being supportive – you and Bea made my Mother’s Day a perfect one.